Viewers of Al Jazeera reportedly reacted to the London terror attack "with joy." 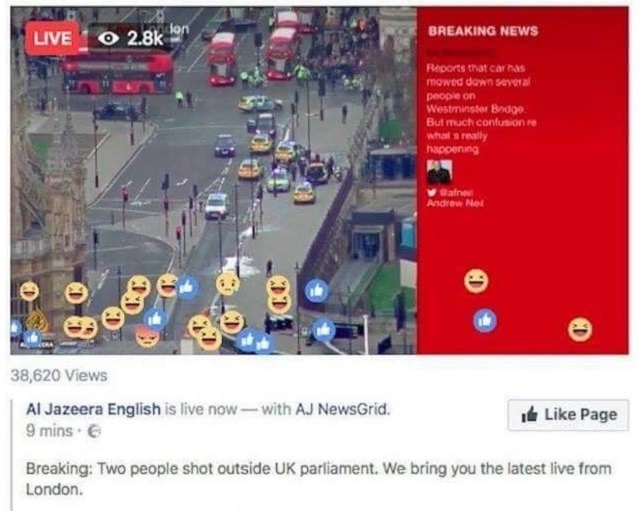 Breaking911 shared a screenshot showing viewers to their live stream on Facebook were spamming smiling emojis and thumbs-ups. 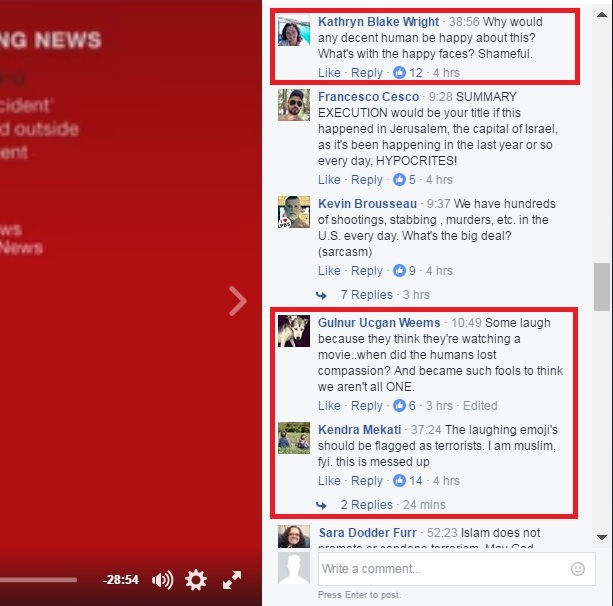 Looking through the archived comments on their broadcast, I was able to find multiple people commenting on the sickening celebrations. As Tommy Robinson said earlier today, "these people are waging war on us."